Our body is every day stressed with something new, especially those who work. Joint and muscle pains can cause discomfort in everyday’s activities. 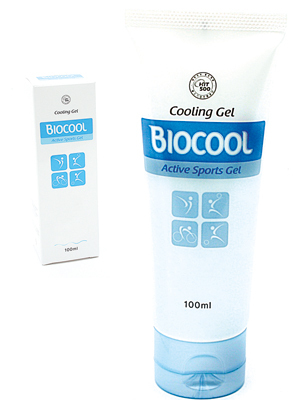 The greaseless BIOCOOL cooling gel is perfect for muscle pain. BIOCOOL is used for temporary relief of muscle or joint pain caused by strains, sprains, arthritis, bruising, backaches or insect bite. The cold property relaxes muscles; therefore it is also good to use after sport activities. It stimulates the blood circulation and relieves pains and discomfort. It is well spreadable. You can directly feel the refreshment effect. BIOCOOL cooling gel is a good alternative to painkillers, because it can be applied directly where needed and its effective is felt quickly. * Please note Biocool is not a medical product.